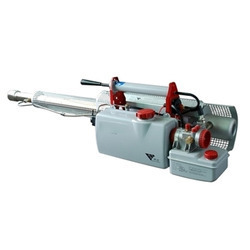 Leading Trader and Supplier of Fogging Machine such as Handy Fogging Machine, Vehicle Mounted Fogging Machine and Thermal Fogging Machine from Ghaziabad. We are one of the noteworthy enterprises engaged in offering superior quality Fogging Machine. 1. You can work wide area with short times and you can mount the machine on the Chassis. 2. You can control the machine with the remote controller in the driver’s cabin. 3. You can save the cost of labor because only one person can operate the machine. 4. This machine covers 6600 square meters with one time spray with 100 liters chemical. Used for sanitation and epidemic prevention in house, garden, hospital, restaurant, hotel and other public places. 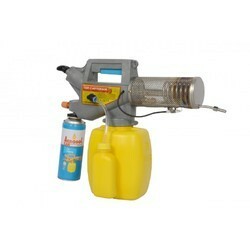 We are counted amongst the recognized organization offering of premium quality Handy Fogging Machine. Used for sanitation and epidemic prevention in various industries. Bestowed with an ingenious team of experienced professionals, we have been able to introduce an exclusive range of Thermal Fogging Machine. The offered machine is the generation of ultra-fine droplets in a range of 1-50 µm using thermo-pneumatic energy. In the machine, the liquid substances are vaporized in the unit and form ultra-fine aerosols by condensing on contact with cool ambient air. Besides, clients can get the machine from us at affordable rates. 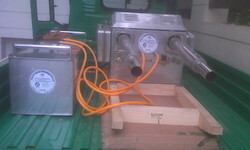 We are the leading manufacturers of Portable Thermal Fogging Machine. Stainless steel chemical tank 75- 100 lit. We are the leading manufacturers of Double Barrel Thermal Fogging Machine. 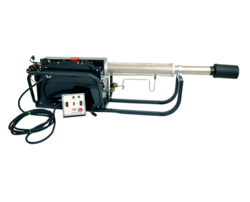 We are the leading traders of Remote Control Thermal Fogging Machine. 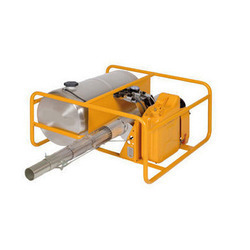 Our firm has gained continuous appreciation as the prime organization offering of Vehicle Mounted Fogging Machine. QEE Compact High Capacity Fogging Machine with Pulse Jet Engine having Electronic Ignition System. 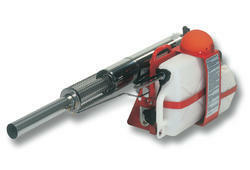 The Equipment is easy to operate having no Moving Parts and Maintenance Free Working.